The name of this wine is insolvably linked to the characteristics of its provenance. 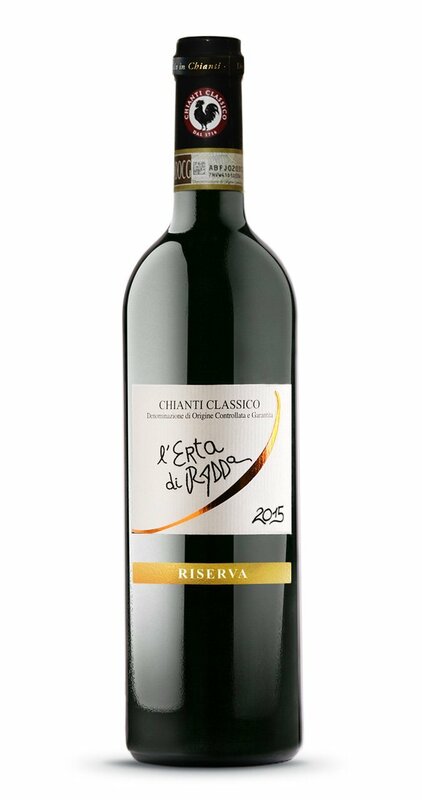 Actually it descends from the strong gradient of the vineyards (erta = acclivity), which are located near the historical center of Radda in Chianti. L’Erta di Radda is a small family business which is run by Diego, who simultaneously takes care of everything, from trimming of the grape-vine to the commercialization of wine. 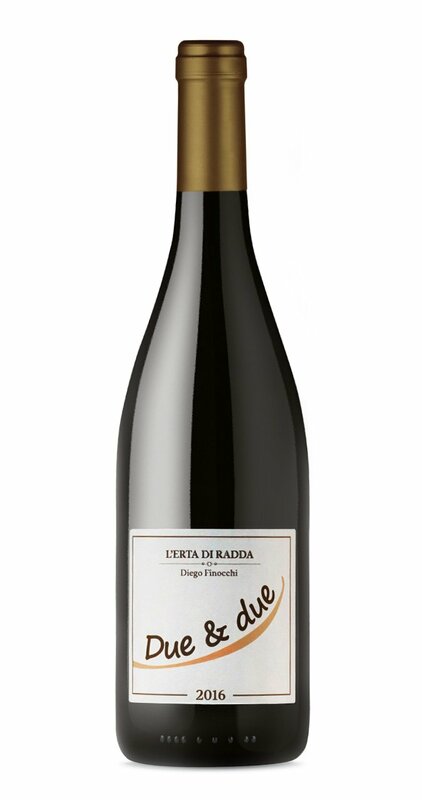 The project “L’Erta di Radda” was born in the year 2006 thanks to the passion and the bond of Diego with his homeland. But the vineyard itself has more ancient roots. At the age of 24 Diego took the opportunity to buy 5 hectares of a vineyard from an old farmer in Radda to realize his dream: being a student of viniculture and enology and becoming the producer of his own wine. The grape-vines planted in 1967 have been renewed in the course of time: 1 hectare in the year 2006 and another one in 2009. Starting from this year the production of the wine follows the standard procedures for biological winegrowing and respects environment, soil and biodiversity.à. 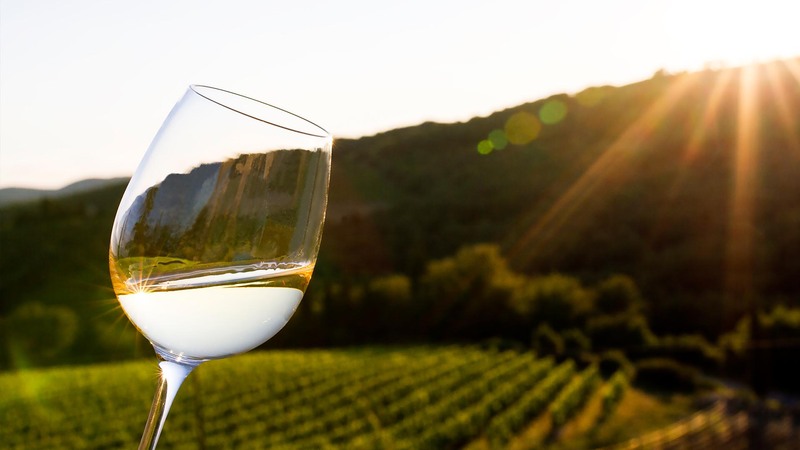 Until the 2008 vintage, the produced wine was completely sold to large customers or bottling plants. 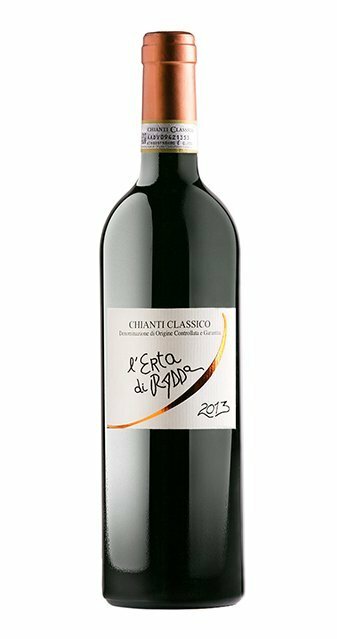 Starting with the 2009 vintage, Diego is concentrating on a selection of grapes from the old-established vines to produce his own Chianti Classico: L’Erta di Radda. 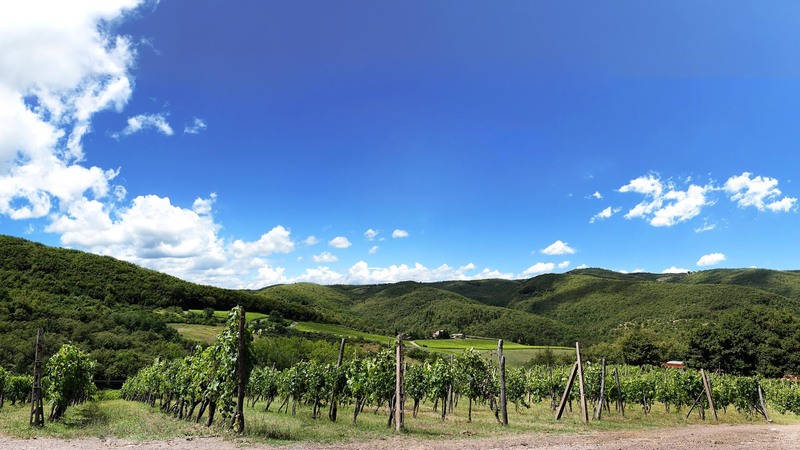 Period of vintage: the vintage is done completely manually, in the first half of October for Sangiovese wine and at the end of September for Trebbiano and Malvasia wines. 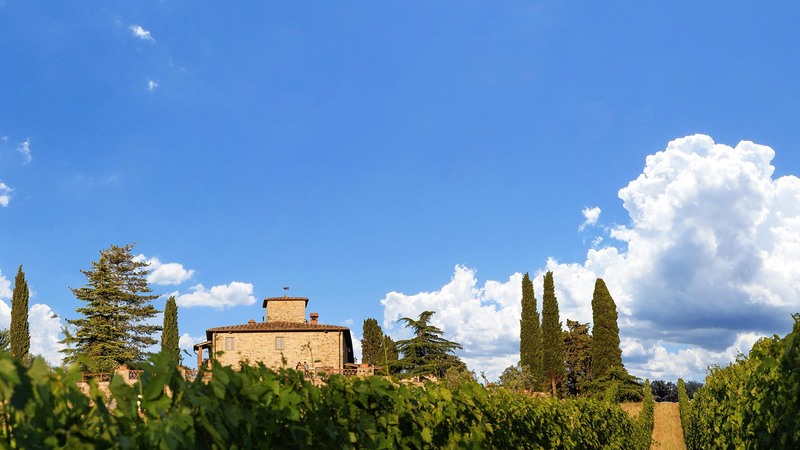 The winemaking: the wine is made from 100% Sangiovese grapes, selected from a single vineyard. The grapes are vinified in a traditional way, without the use of selected yeasts, the fermentation lasts about 15 days, during which they are carried out replacements and punching down. 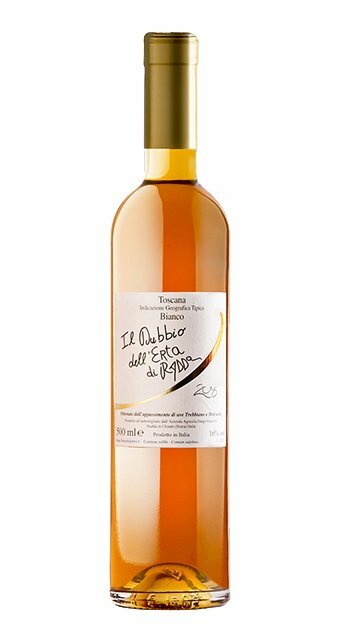 At the end of the alcoholic fermentation, the wine remains in contact with the skins for about 20 days. Refinement: once the malolactic fermentation in stainless steel is finished, the wine is aged for 24 months in 2000-liter oak barrels. The winemaking: both the Sangiovese as well as the Canaiolo used for the production of the Erta di Radda are selected already at the moment of the vintage and afterwards pressed in the traditional way: during this process, which to average lasts between 10 and 15 days, several steps are performed such as fermentation, remontage and refining. The alcoholic fermentation is carried out without addition of yeasts. The right time for the separation of the marc is determined by tasting. To average, the process of maceration takes between 25 and 30 days. The malolactic fermentation takes place partly in wood barrels and partly in steel barrels. The winemaking: the white wine of L’Erta di Radda is gotten from Trebbiano and Malvasia grapes which are gathered manually and directly brought into the wine cellar to avoid a premature fermentation and oxidation. The grapes are pressed with little pressure and the alcoholic fermentation occurs at a low temperature in steel barrels to preserve the main flavours of the grapes. Refinement: during winter, the wine is stored at low temperatures in steel cylinders to favour the natural clarification and preserve the flavours. 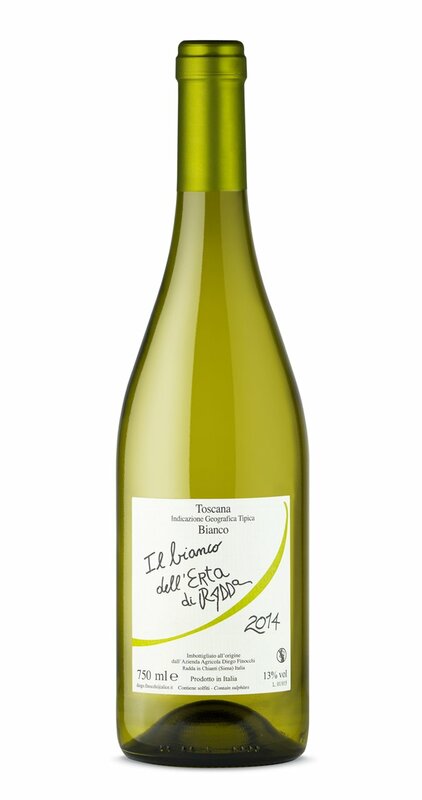 The winemaking: the “Due & due” is obtained from the union of four vines, two 70% red berries (Sangiovese and Canaiolo) and two 30% white grapes (Trebbiano and Malvasia Toscana). The grapes are harvested from a single vineyard, planted in 1971. They ferment in the same stainless steel container, with the technique of carbonic maceration to obtain a real aromatic mosaic. Shortly before the end of the alcoholic fermentation, the racking is made and the “Tuscan Government” is made on the wine (addition of slightly dried grapes) in order to have a second fermentation. Refinement: The wine is stored, partly in stainless steel tanks, partly in cement tanks, for 12 months. The winemaking: the manually harvested Trebbiano and Malvasia grapes are dried for three months on lumber mats. Once they have achieved the right stage of maturation (a high concentration of sugar and a low concentration of water) the grapes are pressed and the obtained must is filled in barrels with a capacity between 50 and 80 litres in which a slow fermentation takes place. Refinement: 6 years in the barrel.